Ganesha Chathurthi / Vingayagar Chathurthi is an important festival celebrated by Hindus all over the world. Mothagam / Modak is made and offered to Lord Ganesha on this day. Mothagam is made with two different varieties of fillings. 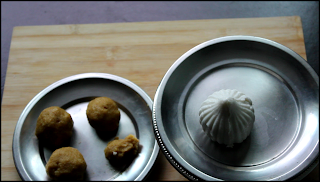 One is Channa Dhall + Jaggery filling and the other one is Coconut + Jaggery filling. 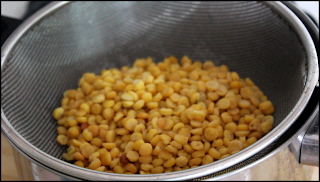 Let's see how this Channa dhall Poorana Mothagam can be made. Here is the recipe video for Mothagam with Channa dhall Pooranam. Cardamom - 2 to 3 nos. 1. 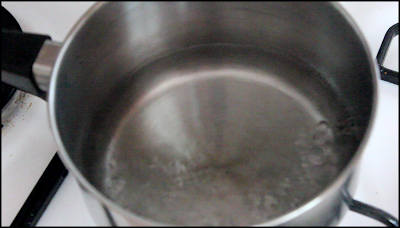 Boil water with a teaspoon of gingelly oil and little salt, till it becomes very hot. 2. Take rice flour in a vessel and add salt(if required). 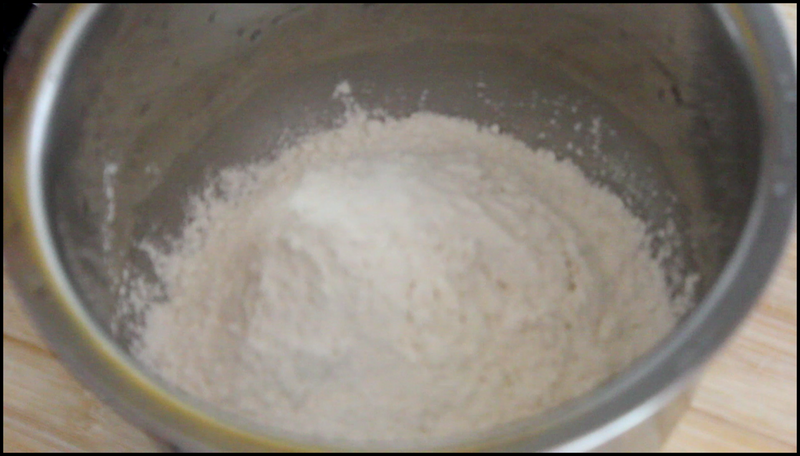 Pour water little by little, to the rice flour and mix it with a laddle. 3. Allow it cool for a while and make a smooth dough with hand. 4. Close it with a lid or wet cloth and keep it aside. 1. 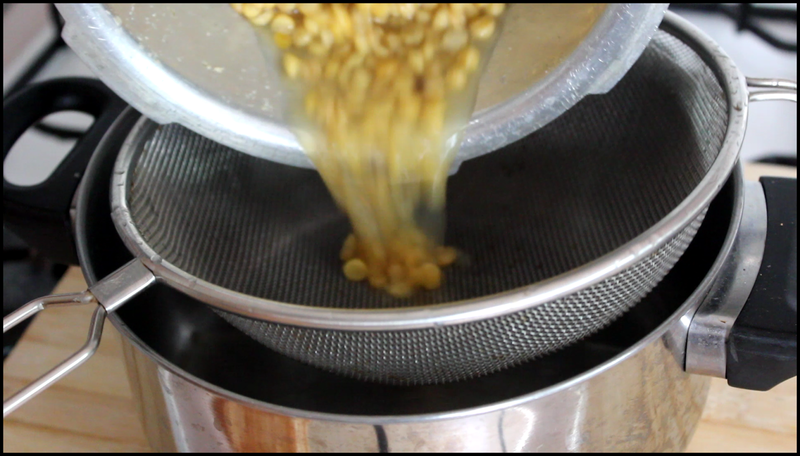 Dry roast channa dhall in a pan till the roasted smell arises. 2. 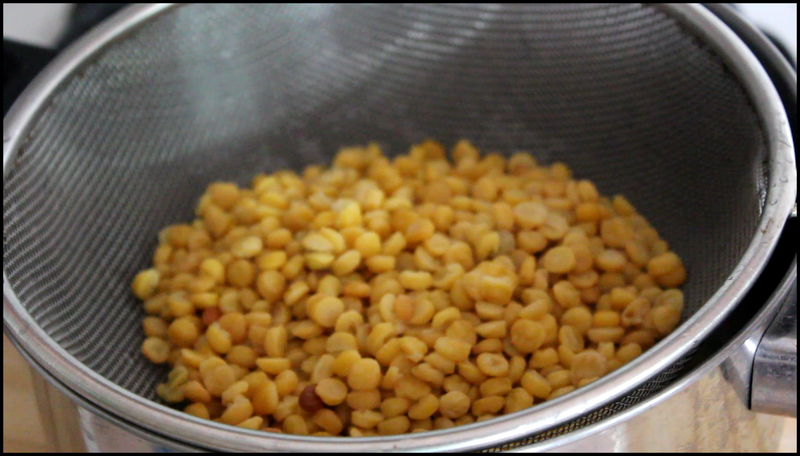 Wash and soak the roasted channa dal for half an hour. 3. Pressure cook it for 2 to 3 whistles. Make sure that the dhall becomes soft but not mushy. 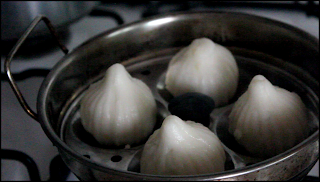 Drain excess water from the cooked dhall and allow it to cool down. 4. 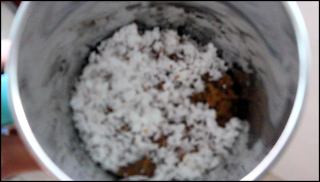 Grind Dhall+coconut+cardamom first in a mixer. 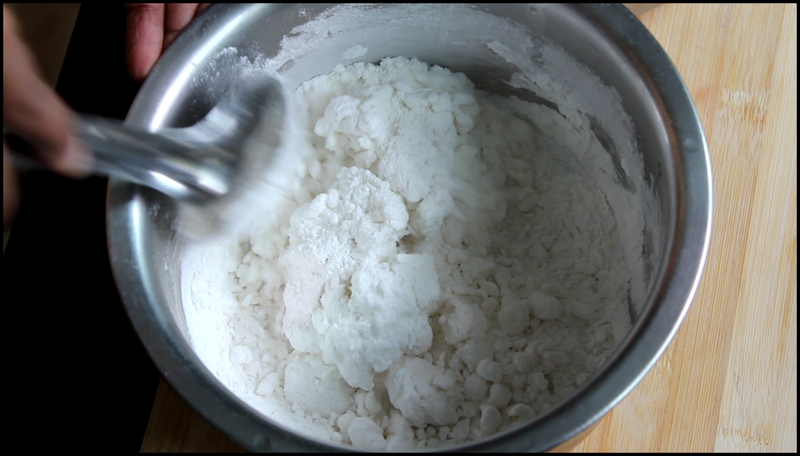 Then add Jaggery to the mixer and give a quick whip. 1. 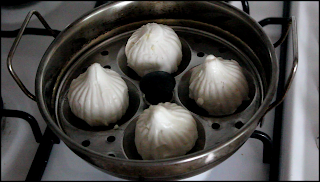 Use the mould to make mothagam. 2. Grease the mould before making every single mothagam. 3. 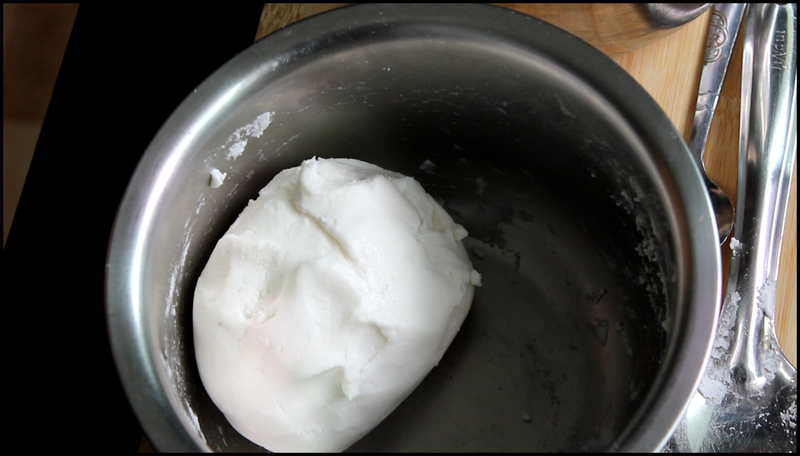 Place the rice dough first in the mould and press it with your finger against the walls of the mould. 5.Seal the bottom of the mothagam mould with rice dough. 6. Gently open the mould and take out the mothagam. 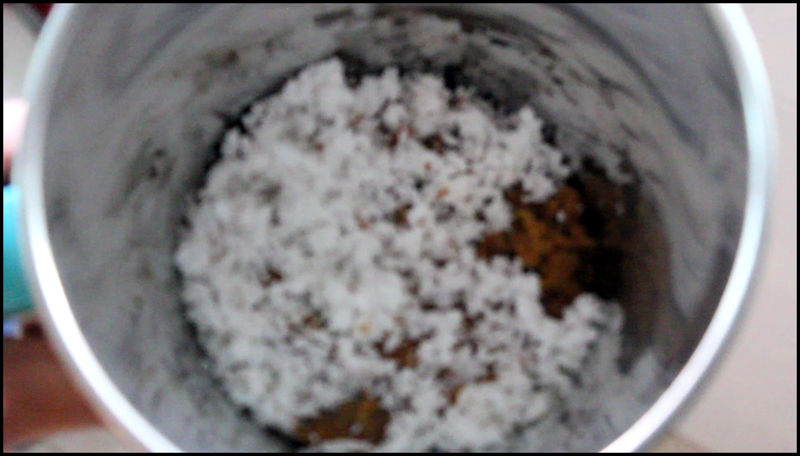 Watch video to see how the mould is used. 6. 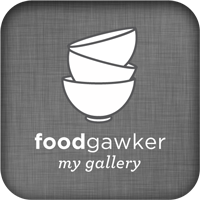 Steam it for 10 - 15 minutes. 7. Glossy texture on the Mothagams indicates it's cooked and ready to serve. 7. 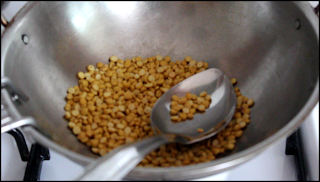 Place all the mothagams in an idly plate or a steamer and cook it for 10 - 15 minutes. 8. The glossy texture is the indication of the cooked mothagams. All the best :) keep it coming!! Good one Shankari.. ☺ All the best. Wishing you most and more. Happy blogging.